Shake it with Le Toy Van toy blender set! Creamy and frothy or fruity and blitzed, play kitchens are getting a flavoursome boost with this toy blender set. Have your smoothie order ready parents! 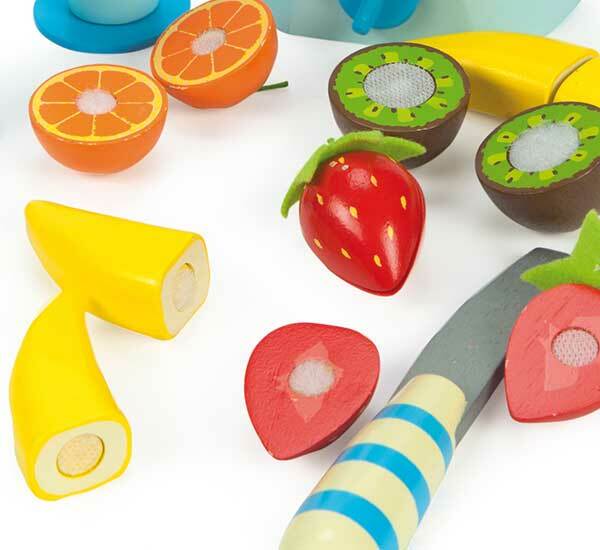 The Fruit and Smooth toy blender set from one of my personal favourites, Le Toy Van‘s Honeybake range and is kitted out with all the kids need to get their imaginations cracking in the kitchen. 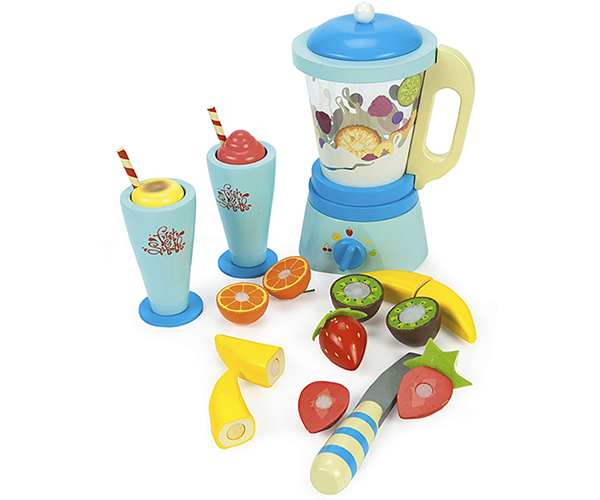 Included in the set is the toy blender with removable jug, two wooden tumblers with interchangeable toppings, six pieces of fruit to slice through, plus a wooden play knife – it’s all you need for making pretend healthy snacks and breakfasts! The Fruit and Smooth set is priced $85 and available at Little Darcy.